Entry is £12 armies are from theatre list axis or allieds please download the rules pack and tack a look and contact us if you are interested. 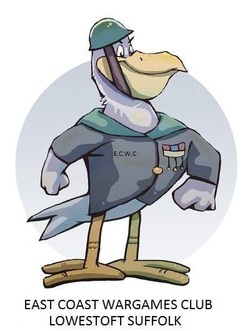 East coast wargamers club lowestoft is a club for players of all types of games from board to tabletop to roleplaying. Its held at the seagull theatre 19-75 Morton Rd, Oulton Broad, Suffolk from 7-11pm. On the 22nd june east coast wargamers club are hosting there first bolt action tournament.With many thanks to great sponsors like warlord,wargames tournaments and discount gamer. We can bring this very exciting event. If you would like to contact any of the members then please drop a line and someone will get back to you asap.